Whether you are looking to launch a new product or want to give your business a push, our skilled and creative team has the knowledge and experience to guide you through the process. Working with you each step of the way to really understand your business and objectives, we will create an integrated marketing campaign that helps achieve your business goals, whilst staying within your budget. We make sure we really understand your vision and values in order to build a strong visual identity for your brand. Using our skills, we develop and build identities that are unique and simple enough to become instantly recognisable, drawing the consumer in. From design style, to how your products are photographed and even how your brand is presented on social media, we develop a complete branding package. Thanks to our experience within the interiors sector and our in-house design skills, we can create a unique brand identity and help you to communicate it. We combine our knowledge, expert advice and creative flair to produce inspirational, stunning brochures and luxurious product catalogues. From creative concepts and copywriting to room set and product photography, our in-house team creates striking visual content to communicate brands and their products. Your website is the first place people will look when researching a brand and as a result, your online presence needs to represent your company as best as possible. Our web team creates websites from start to finish and also updates existing websites. But, online presence is about much more than a website; there’s social media, email marketing, digital marketing, video, online PR and App brochures. Our experienced team combines all these elements to create a campaign that supports your business goals. It is essential that your brand is represented in the correct way across all media arenas. 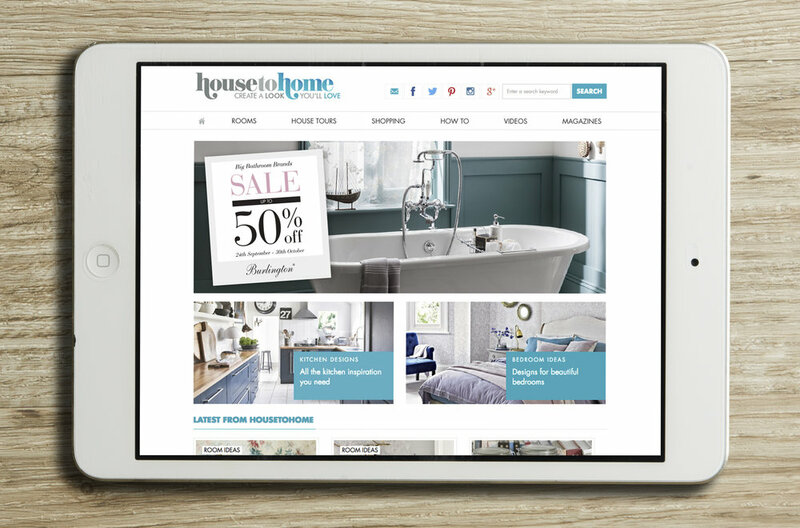 From online banner ads to national print campaigns and consumer publications, our in-house design team is able to produce visually inspiring adverts that will capture the attention of potential customers and drive traffic to both your website and showroom.